There’s something troubling in our midst, somehow lost among the myriad of problems and challenges we face individually and collectively. 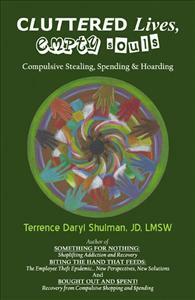 Stealing, spending and hoarding behaviors have slowly then rapidly exploded in front of our eyes—or, perhaps more accurately—silently and secretively. The lines between governmental or corporate overspending and greed vs. plain theft and fraud have blurred and, yet, sharpened.